The Magicshine MJ-6096 comes has 4 x 18650 LG LI-ion Battery cells producing 5200 mAh of power. 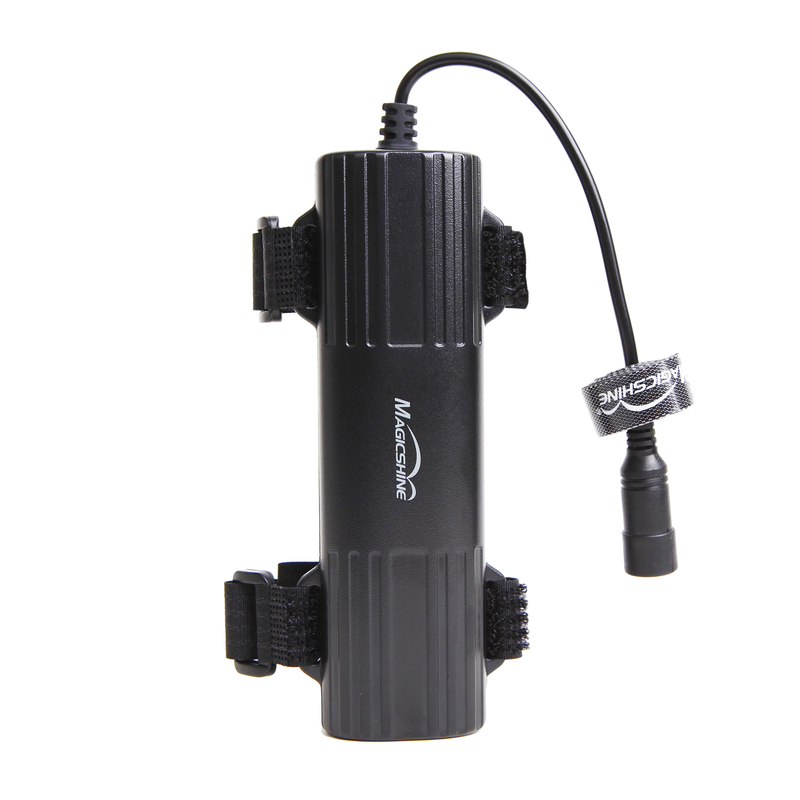 This comes with the standard round connector and there fore is compatible with all of magicshine lights expect the MJ-908 and the Eagle Range. This is the Battery that is included in the Magicshine MJ-902. However with its new slim line look and light weight it is a great battery to have as a back up.